What's a perfect way to spend a brisk, fall evening? 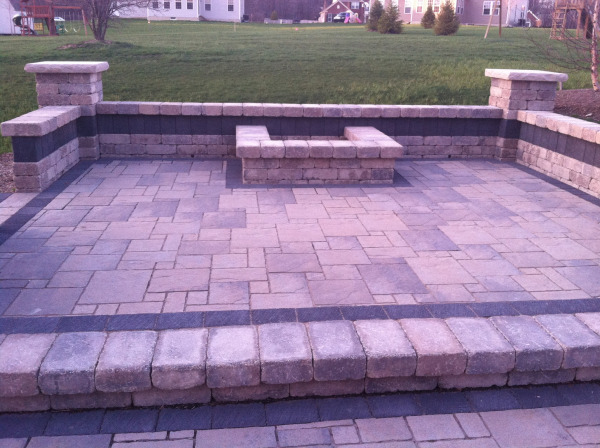 Gather your family and friends around your outdoor fire pit. Outdoor fire pits add a cozy dimension to your property, giving you a chance to enjoy starlit evenings and enjoy the company of those you love. A campfire is mesmerizing enough to distract your kids from their iPhones. They may actually join in the conversation and chuckle at the jokes. In addition to creating a captivating social venue, outdoor fire pits can make good use of awkward spaces in your yard. An area that's not quite big enough for lawn or too secluded for a flower bed might just be perfect for entertaining around a fire. If you're looking for ways to enjoy your outdoor fire pit this fall, start with one of these five activities. They're sure to enliven your social calendar. 1. Host a Clambake. Even though this isn't New England, you can still enjoy a good old-fashioned clambake, right in your back yard. About 4 hours before the clambake begins, make and bake a blueberry pie. Two hours ahead, prepare the clams and mussels and bundle them into lengths of cheesecloth. This is also a good time to parboil the potatoes and husk the corn. Ninety minutes before go-time, build the fire in the fire pit and grill the chicken and sausages. Thirty minutes before dinnertime, layer fresh seaweed, lobster, and clams and mussels over the fire. As dinner cooks, melt butter and keep it warm, so you can dip your delicious food into the melted butter. 2. Tell Spooky Stories. After the trick-or-treaters have gone home to count their candy, start a crackling warm fire in your fire pit and gather everyone around for story time. If you're not keen on telling stories of your own, recruit someone with a rich voice to read Edgar Allan Poe's "The Fall of the House of Usher" or "The Tell-tale Heart." Serve spiced apple cider, and keep the jack-o-lanterns lit around the perimeter of your fire pit area. 3. Hold a Marshmallow Roast. You don't need to go camping to make S'mores. Just build a fire in your own outdoor fire pit and enjoy a lightly toasted marshmallow any time. Stock up on plenty of graham crackers, Hershey's chocolate, and large-size marshmallows, and provide your guests with marshmallow roasting sticks. 4. Bring Tailgating to the Firepit. Instead of cooking on the grill, roast your hot dogs over your firepit before heading to the game or during halftime of a televised football game. Sitting around an outdoor fire helps everyone to loosen up and participate in the conversations about their favorite sports teams. Invite everyone to wear their spirit gear. You can even broadcast the game outside or watch it on an outdoor screen. 5. Meet the New Neighbors. Did you have any new neighbors move in over the summer? Get to know them by inviting them over for dessert around the fire. Make hot cocoa and pie, and pull your patio chairs around the fire pit. Invite a few of the established neighbors as well as the new ones so everyone can become acquainted and feel a sense of community in the neighborhood. Outdoor fire pits give you lots of options for enjoying the beautiful fall weather. Perfect for socializing, your backyard fire pit is helpful for building relationships with family, neighbors, and friends. Fire pits also help you to take advantage of unusual spaces on your property. Find out for yourself how integral an outdoor fire pit can be to your fall social activities.